Samsung is back with another semi-rugged variant of its flagship smartphone. The Galaxy S7 Active is tougher than the standard S7, but offers most of the same specs and features. If you need a phone that's built stronger than most, the S7 Active fits the bill. It's more than enough phone for the outdoorsman, field worker, and, well, the downright clumsy. 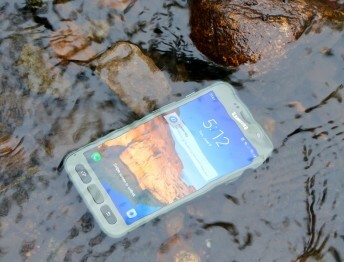 Samsung today announced the Galaxy S7 Active, a semi-rugged version of its S7 flagship smartphone. 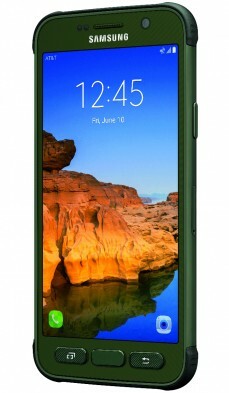 The Active has a sturdier metal frame with rubber-coated corners to help protect it. The S7 Active is certified to mil-spec 810G, which means it can handle shock, vibration, fog/humidity, dirt, and temperature extremes. It also has an IP68 rating for protection against liquids; the Active can sit in a meter of water for up to 30 minutes. Like previous Active-branded handsets from Samsung, the S7 Active carries over most features from the standard S7. It is powered by a Snapdragon 820 processor with 4 GB of RAM and 32 GB of storage, it supports memory cards, and has a hardened, shatter-resistant 5.1-inch quad HD screen. The S7 Active relies on the same 12-megapixel main camera from the S7, as well as the same 5-megapixel user-facing camera. It boasts a large number of radios (Bluetooth, GPS, NFC, WiFi), and includes some 15 LTE bands. At 4,000mAh, the Active has a 33% larger battery than the S7, and it supports adaptive fast charging in addition to wireless charging. The phone runs Android 6.0 Marshmallow with Samsung's TouchWiz user interface customizations and apps. The Samsung Galaxy S7 Active hits AT&T's web site and retail stores beginning June 10. The device will cost $26.50 per month on an AT&T Next plan, or $33.13 per month on an AT&T Next Every Year plan. The full retail price is about $795.